Photographed outside of its home station, Fence Housesin 1983. Yes, it ran as "Foxtrot 115" from B11 Fencehouses for most of its life. 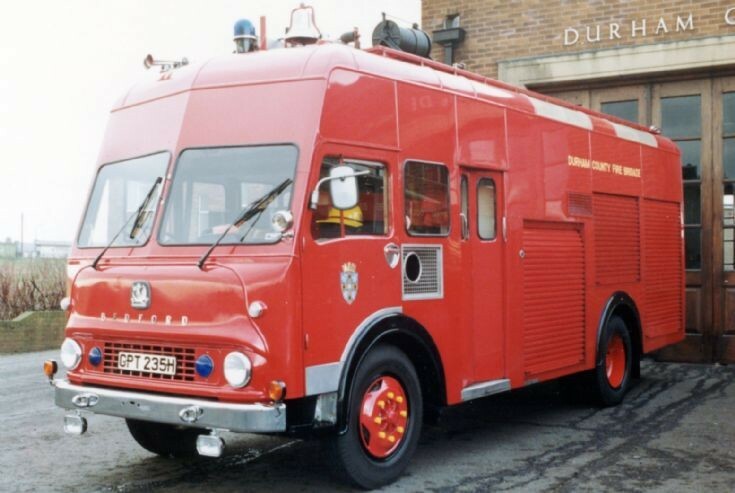 When brand new, it ran for a short time from A1 Durham as "Foxtrot 15". Added by Ian Moore on 23 November 2011. This looks a lot like an HCB-Angus body, but has no badge. Any clues? Added by Rob Johnson on 11 July 2018. There are so many clue, from the wheel arches to the lockers, grab handles etc, all HCB trademarks. Not all had the big blue badge on the front. Often it was on the back! Added by Michael G on 20 July 2018.